Debbie Hsiao Ki Ting received her degree from Samra University of Oriental Medicine, Los Angeles, California and Beijing Academy of Traditional Chinese Medicine, China. She has successfully treated patients for a diverse range of problems including: pain, emotional disorders, stress related disorders and chronic illnesses. 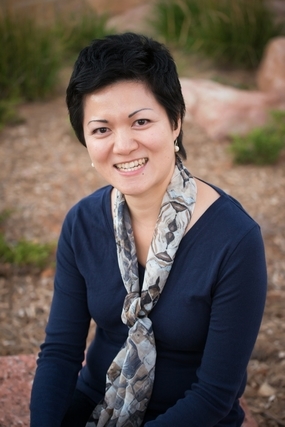 She is a NCCAOM Certified Acupuncturist and Herbalist, and Licensed Acupuncturist in the United States. Debbie Hsiao Ki Ting also translated from Chinese to English the Oriental Medicine book Essentials of Chinese Medicine: Internal Medicine (English Edition) by Dr. Dafang Zeng. She has conducted numerous seminars and classes, and written several published articles on the benefits of Acupuncture and Traditional Chinese Medicine. In addition, Debbie Hsiao Ki Ting has a degree in Veterinary Science from University of Liverpool, England and is experienced in treating small animals with acupuncture.